Since 1958, the European Union has been absorbing independent states across the continent. Starting with the original inner 6 countries (Belgium, France, Italy, Luxemburg, Netherlands, and West Germany) and ending with Croatia in 2013, the forced centralization of Europe was a massive and ominous force with which to be reckoned. Until now. On Friday, the people of Great Britain made their voice heard. They no longer want to be a part of the European Union and for good reason. For decades they have sat back and watched the global elite enrich themselves through special trade agreements ostensibly designed to bolster the economy, but in reality grant special treatment to those close to the top. 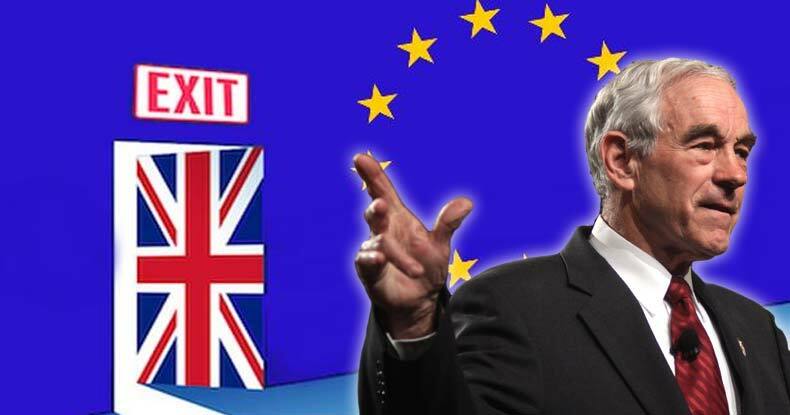 George Soros exposed the dependence of the elite on the EU when he took to fearmongering about rampant financial collapse upon Brexit. However, as Ron Paul so aptly pointed out on Friday, the people’s suffering will be minimal. It is the banking elite who are running scared. “Other countries are watching….This is the beginning of the end of the European Union…and nobody is going to suffer from that. Only the wealthy, banking, special interests will suffer any from this,” said Paul. On Friday, Britain’s biggest banks faced double-digit losses on the stock markets, with shares plunging. Barclays dropped by 23.08% to $8.60, HSBC shares dropped 7.35% to $31.25, Royal Bank of Scotland sunk a whopping19.63% to $6.02. In the US, JPMorgan Chase shares were down 6.26% to $60.04. Bank of America shares fell 6.34% to $13.15, Citigroup shares dropped 8.3% to $40.77, and Wells Fargo dived 4.7% at $45.66. The big investment banks were also hit hard with Goldman Sachs shares down 5.26%, and Morgan Stanley shares dropping 8.57% to $24.94. The global banking industry is entirely dependent on centralization of power to keep their balance sheets in order as their model requires a controlled economy. However, as Brexit has already shown, this model is not in the interests of the people. As nations continue to declare their independence, the cartel will crumble.